Holidays by train | This year, take a holiday without flying! Holidays by train or ferry . . . If you don't like flying or want to avoid flying for the sake of the environment, most big holiday companies can offer you nothing much more than a short break on Eurostar to Paris. Which is crazy, because it's so easy to spend a week in Spain, Italy or Malta, or a fortnight in Morocco or Greece, without setting foot on a plane. I know it's possible, because I've done all of those myself. The journey becomes part of the holiday, an experience in its own right. ...you'll find ideas for holidays or short breaks from the UK into Europe without flying, both by putting a trip together yourself, and by using several good specialist companies who offer holidays by train not plane. Skiing holidays by train to the French Alps, Switzerland, Austria or Andorra. Escorted tours by train to Morocco, Spain, France, Switzerland, Italy, Greece, eastern Europe. Several operators offer escorted tours to these countries with travel by train rather than plane, including Great Rail Journeys (www.greatrail.com), sister company Rail Discoveries, Planet Rail, Page & Moy. A tour is an excellent choice if you prefer everything arranged for you and enjoy travelling with others. Arrange your own holiday independently to Spain, Italy, Greece, Morocco, Malta, eastern Europe or Scandinavia... There is no reason why you can't book a resort or hotel, then arrange train travel separately. Spain, Italy, Portugal, Greece, Malta, Morocco, Eastern Europe or Scandinavia can all be reached easily and affordably by train & ferry. There are some ideas & help here. Arrange a hire car If you can Fly-Drive, why not Rail-Drive?! The simplest non-flying holiday to Europe is a short break to the ever-popular French capital, or how about Lille, Brussels or Bruges? Bruges is arguably the most picturesque of these. A number of companies offer short breaks or longer holidays to these cities, combining Eurostar travel with hotel accommodation, including www.lastminute.com and train holiday specialists www.railbookers.co.uk. www.railbookers.co.uk (call 020 3327 0761) sell short breaks to Amsterdam with travel by Eurostar. Prices start at £259 per person with 2 nights hotel in Amsterdam. Alternatively, you can put a trip together yourself. Take a Friday night Eurostar to Brussels, and stay the night there. On Saturday, explore the Grand Place before hopping on the hourly intercity train to Amsterdam (3 hours). Spend Saturday night in Amsterdam, returning around 16:30 on Sunday afternoon Amsterdam-Brussels-London. Book a London-Brussels return ticket at www.eurostar.com; then buy a Brussels-Amsterdam ticket at Brussels station, no reservation necessary. It costs around 80 euros return. 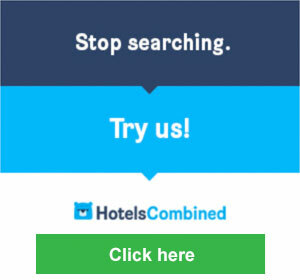 See the hotels page to book a hotel separately. See the Netherlands page for more details on booking train travel to Amsterdam. Or you can travel by train & ferry. Take the overnight train+ferry+train service from London (or any station in East Anglia) to Amsterdam via the overnight Harwich-Hoek ferry, sleeping in a comfortable cabin. Spend a day or two in Amsterdam, then return overnight by train+ferry again. See the Netherlands page to book a combined train+ferry ticket, then see the hotels page to book a hotel separately. Why not cruise overnight with DFDS Seaways from Newcastle to Amsterdam, spend a few days there and cruise back overnight? See the Netherlands page or see www.dfds.co.uk. www.railbookers.co.uk (call 020 3327 0761) are a train holiday specialist offering short breaks to a surprising range of European cities with flight-free travel by train. Prices start at £249 per person with 2 nights hotel in Cologne, £339 in Berlin, £279 in Nice, £579 in Prague*, £579 in Salzburg*. 3 & 4 night breaks are also available, just ask them or check out their website for destinations and prices. (* = in fact these are 4 night breaks, as these trips include overnight sleeper travel each way). Aan Irish tour company called Railtours Ireland (www.railtoursireland.com) offers short breaks from London to Dublin by train & ferry, with the option to add onward day tours for kissing the Blarney Stone, touring the Ring of Kerry or visiting the Giant's Causeway. No airport hassles, no ugly motorways. They were originally the only company to offer the rail & sail alternative to flying. The tour leaves London every weekday from March to October, aboard the 09:10 Virgin train direct from Euston station to Holyhead via the scenic North Wales coastline. At Holyhead you board the Irish Ferries cruise ferry & sail across the sea to Dublin Ferrryport, arriving around 5.25pm. It's the scenic & painless way to reach Ireland! The cost is around €289 (£229) per person, including 2 nights 3-star hotel accommodation in central Dublin (with the option of extra nights) an return rail & sail travel from London. You can mix-and-match the London-Dublin tour with one or more 1-day tours from Dublin, for example to Cork, Blarney Castle & the Queenstown Story, or to Belfast & the Giant's Causeway, or around the Ring of Kerry. These tours use a fast comfortable intercity train from Dublin, then a motorcoach to reach the sights of western & northern Ireland, then a fast intercity train back to Dublin. Train and ferry breaks to Dublin are now also offered by Railbookers, www.railbookers.co.uk call them on 020 3327 0761. Short breaks in the UK. Edinburgh? Bath? York? Choose a hotel and add reduced-rate rail travel, try www.superbreak.com. Use the overnight Caledonian Sleepers to spend a weekend or longer in Scotland, without flying! See the Caledonian Sleepers page. The best train in Britain is the London to Fort William sleeper, the train they call the Deerstalker. See the Deerstalker page to see why this train makes for the best short break to the Highlands of Scotland if you live down South! ...or the Night Riviera sleeper train to the Cornish coast. You can also use the Night Riviera sleeper train to spend a weekend or longer in St Ives or elsewhere in Cornwall, without the 6-hour drive! See the Sleeper to Cornwall page. DFDS Seaways sail from Newcastle to Amsterdam. Brittany Ferries sail from Plymouth & Portsmouth to Santander in Spain, see the ferry to Spain page. You can book all these ferries at the Seat61 Ferry Shop. Cruises from UK ports: An increasing number of cruises leave from UK ports such as Dover or Southampton, so don't involve flying. Browse cruise deals at cruise.co.uk: Cruises from Dover Cruises from Southampton - you'll find cruises from the UK to Spain, Portugal, the Canaries, New York and even the Caribbean. Mediterranean cruises from Barcelona, Venice or Rome: Many cruises leave from Barcelona, Venice or Civitavecchia near Rome in Italy, and you don't have to fly there. You can usually make a cruise-only booking, then travel from the UK to Barcelona or Italy by train, it's easy. To browse and book cruises: Cruises from Barcelona, Cruises from Venice, Cruises from Rome. For the train connections, see the London to Spain page or London to Italy page. River cruises in Europe, with travel from the UK by train: www.rivieratravel.co.uk do deluxe river cruises on the Rhine, Moselle and Rhone with travel to and from the UK by train. If you want someone to organise a holiday to Europe by train for you, complete with train tickets, transfers & hotels, departing on any date you like, these specialist companies offer holidays to a whole range of European countries with travel by train rather than plane. Award-winning company Wilderness Scotland for small group walking, sea kyaking, canoeing, hiking & family activity holidays. National Geographic list Wilderness Scotland as one of the 'Best Adventure Travel Companies on Earth'. They're the only Scottish company to hold AITO's 5-star Responsible Tourism award and were recently named Best Green Tour Operator at the World Travel Awards. Although they don't package rail travel with their holidays, it's easy to reach Scotland on daytime trains or the overnight Caledonian Sleepers, see the Caledonian Sleepers page. If you want a holiday in Europe with travel by train rather than plane, but would prefer to travel with a group of fellow travellers, a tour manager and all the legwork done for you, several companies offer escorted tours from the UK to Italy, Switzerland, Spain, France, eastern Europe and even Morocco by train, with regular departures from London by Eurostar, no airport hassles and no whole days spent in cramped coach seats on motorways. 10-day tour to Vienna, Prague & Berlin, by train from London from £865. 6-day Rhine cruise from £758, by train from London. Choose whether to stay in one place (for example, the coastal villages of Cinque Terre, the wonderful Naples/Pompeii/Sorrento/Capri area, or Sicily) or to travel around seeing the great cities such as Rome, Florence, Venice, Verona, Naples. Then find a hotel or guesthouse at a decent accommodation site such as www.booking.com. It's easy to travel from London to anywhere in Italy by train. Plan and book your train travel to Italy following the steps shown on the London to Italy page. If you need transport between cities once in Italy, just use www.trenitalia.com (Italian Railways official site) to check train times and fares. You can book online, or simply buy your ticket at the station when you get to Italy. It's not difficult! Feel free to stop off in Paris on the way if you like, it makes no difference to the cost. Choose your holiday location: For beaches, there's the Costa del Sol around Malaga or the Costa Brava near Barcelona, or even Ibiza or Majorca. For culture, try Madrid, Cordoba, Seville, Ronda, Valencia or Granada. You can reach Ibiza or Majorca by ferry from Barcelona. You can even reach Tenerife and the Canary Islands by sea, though this is a voyage taking three nights from Cadiz. Find accommodation. Browse the Spain page on www.booking.com. It's easy to travel from London to anywhere in Spain by train. Plan and book your train travel to Spain following the steps shown on the London to Spain page. If you need train travel between cities within Spain, just use www.renfe.com (Spanish Railways official site) or (rather easier to use!) www.loco2.com to check train times & fares, and book online. Feel free to stop off in Paris on the way if you like, it makes no difference to the cost - either book London-Paris and Paris-Spain separately, or use Loco2's 'More options' feature to add a stopover. Morocco is fantastic, and getting there by train is easy. Leave London in the morning, spend the night in Barcelona, and step ashore in Morocco the following evening. The journey is an experience in itself, and you can stop off on the way to see something of Spain, too. Far more to write home about than a cramped flight! The London to Morocco page explains how to plan and book train travel from London to Tangier and Marrakech. It takes little over 36 hours, with a night in a hotel in Barcelona. Why not travel down over the weekend? If you want to stop off for longer in Barcelona, try www.booking.com to book accommodation. Once in Tangier, the Continental Hotel is the recommended option - historic, atmospheric, pretty comfortable and remarkably affordable, contact details are shown on the London to Morocco page. Train tickets from Tangier to Casablanca and Marrakech can easily be bought when you get to Tangier, see Moroccan train information here. After spending a few days in Marrakech, why not hire a car for a few days (www.holidayautos.com) and drive over the spectacular Tizi n Tichka Pass in the High Atlas mountains to the amazing mud-built village of Aït ben Haddou, Ouarzazate, Todra Gorge and the Gorge du Dadès? Greece is a wonderful, relaxing destination, especially with no airports and planes to stress you out on the way. You can travel by train and ferry, stepping ashore in Corfu or mainland Greece just 48 hours after leaving London. The journey is an experience, and you can stop off on the way to see something of Italy if you like. The London to Greece page explains how to plan and book train+ferry travel from London to Corfu, Athens, Crete or Rhodes. The fastest and cheapest way is by train to Bari or Venice in Italy then ferry to Greece, a wonderful journey. Try www.booking.com for accommodation in Greece. 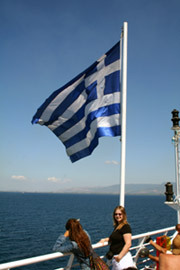 Use www.ferries.gr to find and book ferries to and from the Greek Islands. See the London to Prague page, London to Austria page, London to Hungary or London to Poland page for train travel from the UK to Krakow, Salzburg, Vienna, Budapest or Prague. Then simply use the seat61 How to buy European train tickets page to find train travel options and how to buy the cheapest tickets between these cities. Railpasses are available (see the railpass page) but you will usually find normal tickets the cheapest and simplest option, especially if you can pre-book the cheapest fares. Take a train to Norway, see the London to Norway page. Then for an unforgettable voyage along the Norwegian coastline, book a trip on the coastal steamers of Hurtigruten Line. See the Skiing holidays by train page. Many holiday companies offer skiing holidays that incorporate Eurostar Ski Train or Rail Europe Snow Train travel between London & the French Alps, or can offer holidays without flights, allowing you to arrange your own travel to the skiing resort by train. You must have heard the term Fly-Drive often enough, so why not Rail-Drive? I travelled to Marrakech by train and ferry, then hired a car for 3 days and drove south over the High Atlas mountains, perhaps the most amazing 3 days car hire I've ever paid for! Start by trying Holiday Autos, www.holidayautos.co.uk, they're part of Lastminute.com so are reliable and have a wide range of locations and very good prices. The award-winning website www.carrentals.co.uk compares many different car hire companies including Holiday Autos, meaning not only a cheapest price comparison but a wider choice of hire and drop off location.